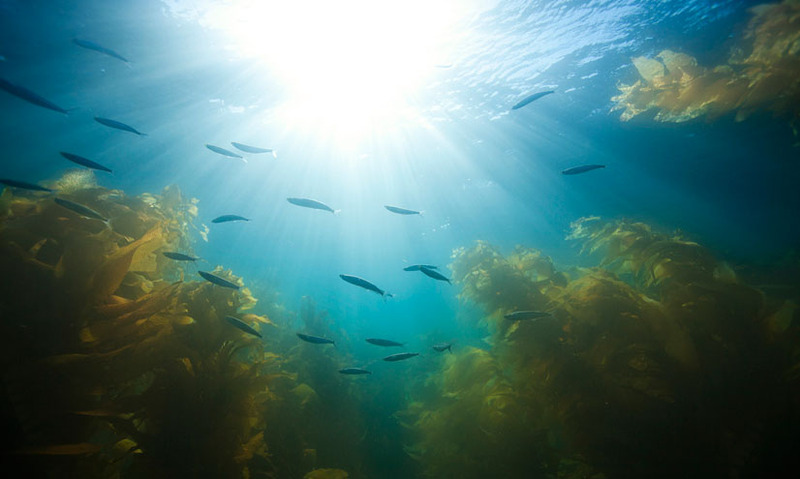 The ocean's surface is teeming with creatures that live in water but need sunlight to survive. The sunlight zone is the area between 0m and 200m beneath the surface of the sea and is home to endless quantities of life. The sunlight zone is where microscopic organisms are able to convert the Sun's energy through photosynthesis. Sea mounds are underwater mountains that offer some shelter to small animals from predators. At depths greater than 200m, the Sun's light does not penetrate and few organisms can survive. From above, the open ocean resembles a barren, lifeless, never-ending landscape. But within the ocean's surface layer lie endless quantities of life. This is the epipelagic zone, or sunlight zone.